Synopsis: The parents of a four year are told by their doctor that the condition had no cure, and would likely last for between four to five years. The child did a series of clay baths and all of the wart-like lesions dissapeared. My 4 year old son had a condition known as Molluscom Contagious, I took him to my GP a few times to be told nothing could be done; it was a viral condition and could take up to 5 years to clear up. It didn’t really bother him except in hot weather when he became very itchy. These last 4 weeks I have given him clay baths using one cup of clay 3 times a week. There is not one single spot left on him and he was covered in these little wart type spots under his armpits and behind his knees. An amazing result. 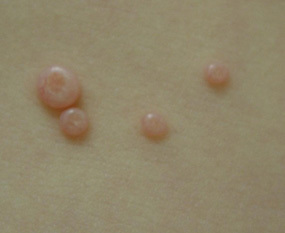 The Molluscum contagiosum virus only infects humans, and is spread through direct skin-to-skin contact. Small lesions appear from between two weeks and six months after the initial infection. The lesions only exist on the top layer of the skin. The central, waxy core contains the actual virus. 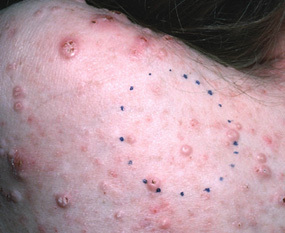 The virus can spread across the body by a process known as auto-inoculation; the lesions therefore often appear in clusters. The infection is cosmetic and not life threatening. Generally speaking, very little discomfort is experienced. However, scarring can occur when the lesions are damaged before having the chance to completely heal. Since the virus only exists on the topmost layer of the skin, a cure is realized once every single virus-containing lesion is eliminated before it can spread to the surrounding areas. The cycle of the virus is relatively short lived (usually six to eight weeks). However, since the virus spreads across the skin, the disease condition usually lasts much longer. Clay therapy, utilizing both clay baths and by spreading hydrated clay to cover the entire affected area, is an absolutely ideal method to treat this condition. Adding a few drops of Australian Myrtle and Tea tree oil to clay gel when hydrating the clay (prior to application) is also an excellent idea, as both of these essential oils have been found to be beneficial in the treatment of the lesions. 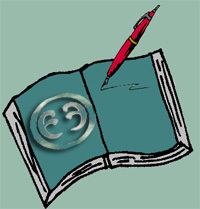 Silver Iontophoresis has been well documented to kill the virus in-vivo (in-body); therefore, using a silver hydrosol to hydrate the healing clay would also be an excellent idea. 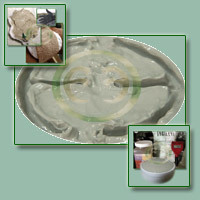 Rather than clay baths, a thick clay poultice can be used. Terrance Gallagher (tgallagherp at gmail.com) pioneered a method he used with his daughter, and completely cured the condition in three weeks. 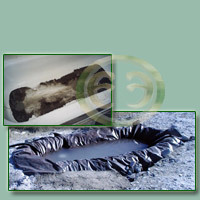 The treatment is simple: Apply clay to cover the affected area, dry with a blow dryer, and leave the clay on the body. Do this twice daily. "We left the clay on through the night and day. The longer the clay is on the faster it works to break the molluscum and then heals perfectly. I believe for Molluscum the goal is the get the clay to pull out the waxy core which contains the virus. "I noticed that they would pop like a pimple and then bleed a little. This is usually how it spreads. But surrounding the area with clay prevents it from spreading. By drying it prevents the kids from wiping it off. Once I started drying it the quicker they healed." 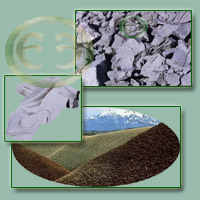 We have currently now explored three of four complete and "painless" cures for this condition using our green desert clay.